The nose does open up and is definitely sweeter with some nice biscuit notes. On the nose the fruit has increased and so has the peat which is becoming quite aggressive now. Another good PE just a little subdued on the palate when neat to get it over 90 points and the peat starts to overpower with a little water in it. Grapefruit, honeycomb, biscuit and the peat obviously but the peat is not as evident on the nose as it is in the 1st & 2nd release. A little lemon meringue pie, salted caramel, pastries , biscuit and a little cream with salt. Very similar to the 2nd release but not quite as fruity. The peat while quieter on the nose is prominent on the palate and it is a creamy, thick peat. There is a little apple & grapefruit but it is well and truly in the back with the peat taking centre stage mixed in with salty brine. Good length staying peat with some ginger creeping in at the end. third edition, just love it. 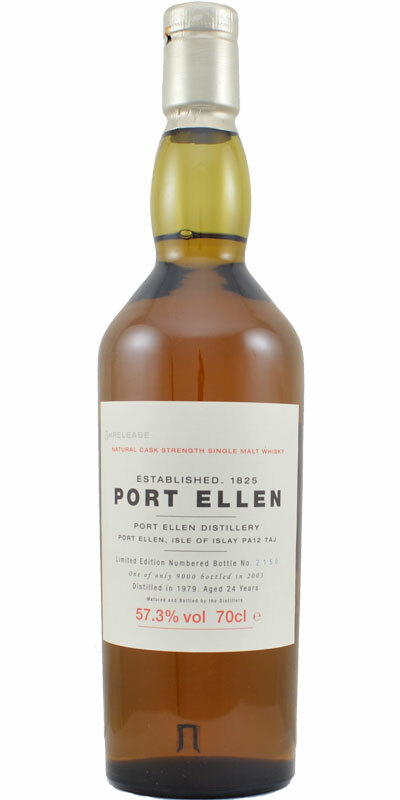 unusually oily and weighty for a Port Ellen,the peat hammering with chisels. oily prisoner-slaughtering beast,with sweet eatery impact, some mocca at the end. acting like a 50 ppm monster? 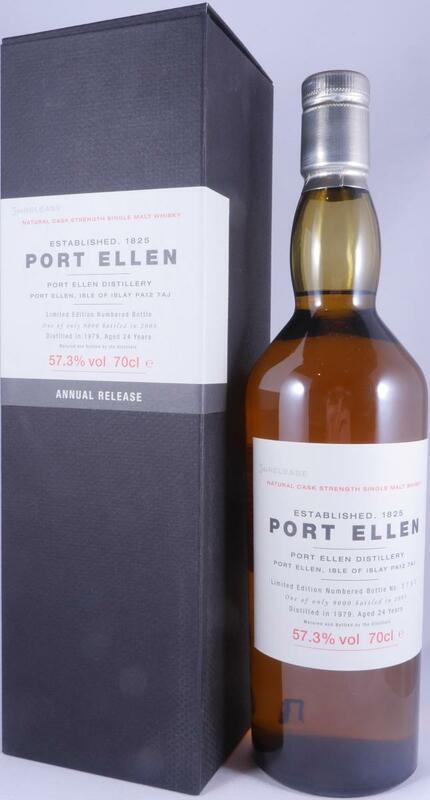 port ellen over its usual 35 ppm. Right away strong maritime notes and sea breeze. Campfire smoke, caramel and alcoholic tingle. Sweet and oily. Seaweed and pepper. Very vigorous and intense start with plenty of smoke and medical notes. Maritime notes like seaweed and distinct oak. Sprity strong in fragrance. Smoky, peaty, sea and a some unpleasant sharpness accompany a long finish. A powerful dram, indeed but reaches not the quality of the 2nd edition. A profile apart. Little peat, no iodine or salt but anise galore on the nose and grass cut in the mouth. Not the best of the lot, but a whisky very interesting to compare to others. 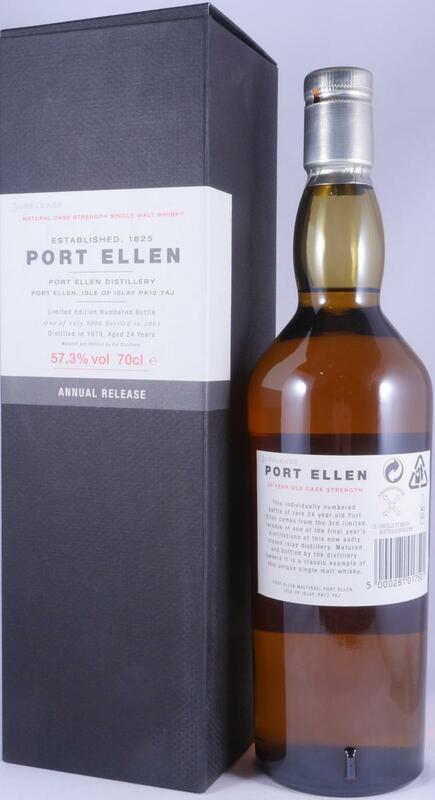 Differing from the 2nd release, it presents surprising and very marked notes of aniseed. More vigorous too, with a herbaceous side (freshly cut grass). Then we smell peat and finally green fruits and lemon. Maybe less complex than others. With water: even more anise! Not on the pastis, but on an anisette (style anisette Gras). Really an atypical profile. Not unpleasant, but atypical. The animal notes present in the other releases finally appear. The burn of alcohol is there. We find the anise present on the nose, as well as lemon and herbaceous bitterness. Very little iodine and peat. With water: it's better. The vegetable flavors prevail (grass, green tea, myrtle).